Looking after your skin can feel like a daunting task. There is so much choice when it comes to skin care products, and it can be difficult to know where to start or if what you're doing is working. Here is a beginner's guide to caring for your skin. Everyone's skin is different, so it's important to follow a skin care routine that suits your skin type. Dry skin is typically patchy or flaky. Oily skin is usually shiny all over. Combination skin is a blend of dry and oily. Normal skin is fairly balanced - neither dry nor oily. You can also have sensitive skin, acne-prone skin, or dehydrated skin (which is different to dry skin in that it is dull and caused by lack of water rather than lack of oil). Once you know your skin type, you can tailor your skin care routine to manage its symptoms. If your skin is dry, for example, you will want to use cleansers and moisturisers that are hydrating (cream formulas). If you have oily skin, gel products are best. What products do I need and in what order do I apply them? Where possible, make sure you at least have a cleanser, serum, moisturiser and sunscreen. Apply products based on their texture, from the thinnest consistency to the thickest, so they can be better absorbed into the skin. Allow each product to sink in before applying the next layer. Here is a recommended order for applying skin care products; you don't need to use everything listed here. Cleaning your skin morning and night is very important for removing the collection of dirt, oil, pollution and skin cells that have accumulated throughout the day. A double cleanse is a good option; the first cleanser removes your make-up and prepares your skin for a more thorough second cleanse. Cleansing balms, micellar water or microfibre cleansing pads are good options to begin with, then follow up with a second cleanser suited to your skin type. This is a non-essential step, especially if you have already double cleansed. Toners ensure there is no residue left on the skin and help to rebalance its pH level. 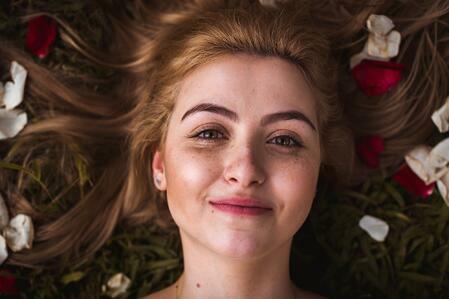 You can tailor this step to suit your skin care needs, as there is a serum available for almost every concern, including hydrating, brightening, protecting your skin from the environment, and preventing wrinkles. Serums offer the highest concentration of active ingredients in a skin care product so this is something to choose carefully. If you need to use a spot treatment, apply it after the serum - but only to the affected area, as some products can be harmful to normal skin. This is also a good time to apply eye cream if you want to. Use your finger to gently pat (not drag) the product around your eyes. A moisturiser protects the skin’s barrier, helping to lock everything in and ensure moisture doesn’t escape. Don’t be discouraged from using a moisturiser if you have an oilier skin type; just use a water-based gel instead of a heavy cream. Oils such as rosehip add an extra touch to address your areas of concern. The Australian climate throughout the year is notoriously bad for the skin, causing one of the highest rates of skin cancer in the world. Applying sunscreen daily is therefore essential, and you should never go outside during the day without protection. There are two types of sunscreens: chemical and physical. Chemical sunscreens absorb UV rays whereas physical sunscreens reflect them. Generally, chemical sunscreens are preferred because they are lightweight, but physical sunscreens are recommended for those with sensitive skin. If you choose a physical sunscreen, you should apply it as the last step in your routine before applying your make-up. If you choose a chemical sunscreen, you can apply it after the toner. Every few days, you should exfoliate your skin to get rid of dead skin cells. Like with sunscreen, there are two types of exfoliants: chemical and physical. Chemical exfoliants use a form of acid to dissolve dead cells, while physical exfoliants use a grainy substance to manually remove the cells. How do I know if something is working? Depending on your age, skin regenerates itself every 28-55 days. Therefore, you need to use your skincare regimen for at least three months before you will start to see big results for concerns like fine lines, wrinkles and pigmentation. With other conditions such as acne and dehydration, you may see results in as little as one week. You may need to change your serums on a regular basis to tie in with your skin needs. If your skin responds well to a cleanser and moisturiser and they continue to work for you, you may not need to change these products for years. And don't forget - check your skin regularly for new, changing or irregular spots, and see a skin cancer doctor for a professional skin check at least once a year to maintain healthy, beautiful skin.